Posted by Denise Deby. Thanks to Clare Stone at CPAWS for the information. Nature, art and music are coming together for a good cause: protecting wilderness. A silent auction with art by Becky Mason, John Barkley and other local artists, and donations from local businesses. 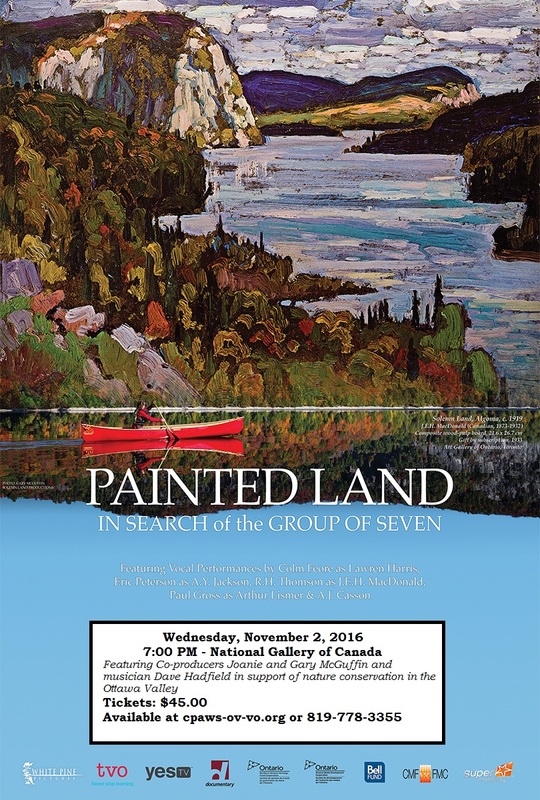 The Fall Gala happens in the National Gallery of Canada auditorium, starting at 7 p.m. (doors open 6:45 p.m.). Tickets are $45 and available at http://cpaws-ov-vo.org/news/fall-gala-2016-get-your-tickets-today. Proceeds will help fund CPAWS initiatives to connect youth to nature and to protect nature.